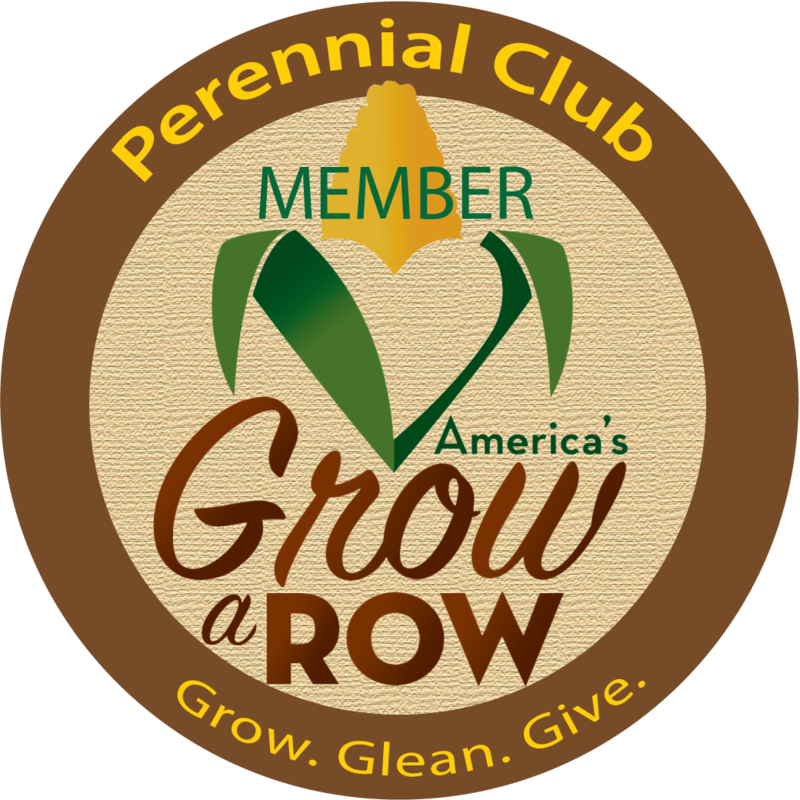 Become a Perennial Club℠ Member of America’s Grow-a-Row and become part of the solution to the hunger crisis! 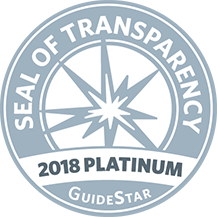 Every member is important and membership at all levels is welcome. 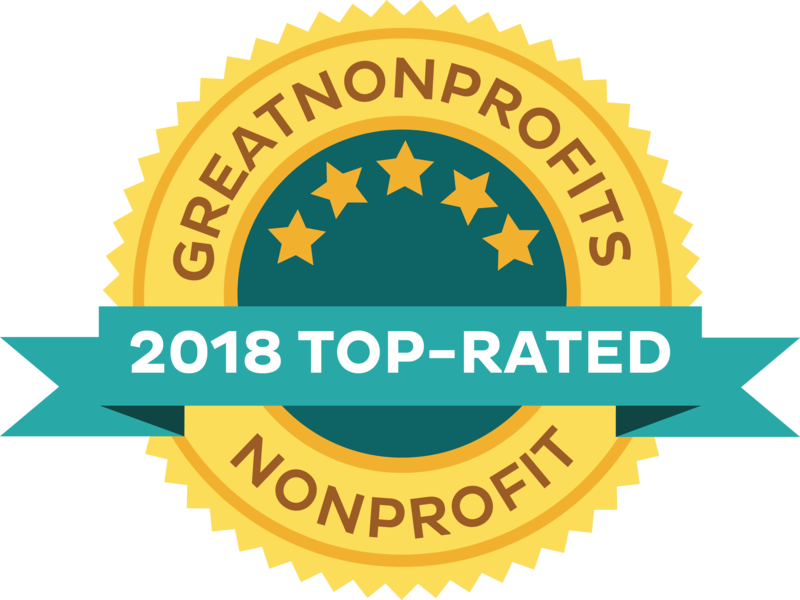 Your membership supports America’s Grow-a-Row’s mission to positively impact as many lives as possible through a volunteer effort of planting, picking, rescuing, and delivering free fresh produce for those suffering from hunger. Consider a gift membership for a family member or friend! 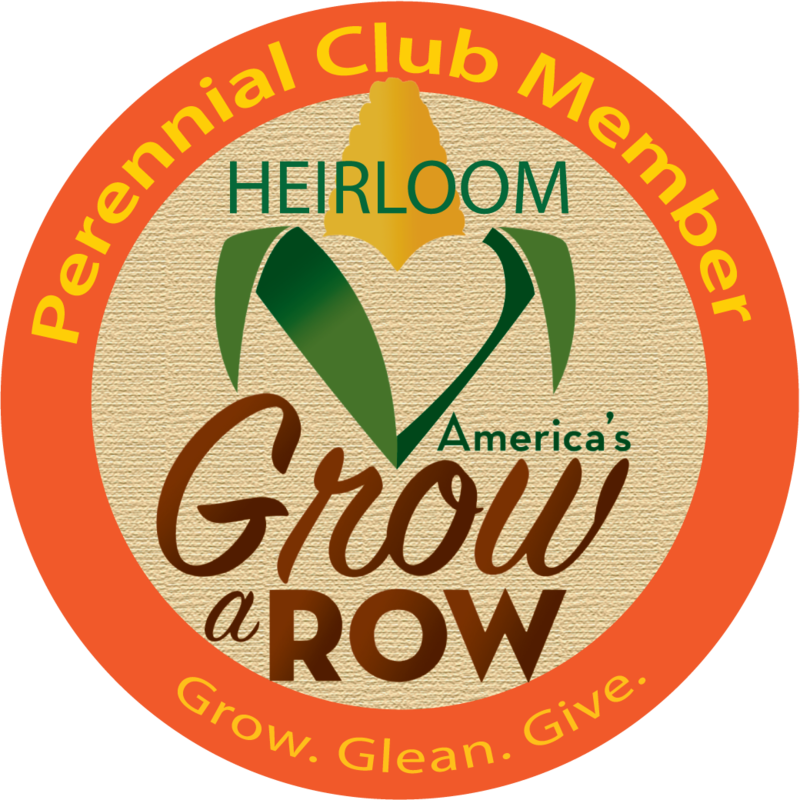 Heirloom Member benefits include a special America’s Grow-a-Row member magnet for your car, an America’s Grow-a-Row member t-shirt, an America’s Grow-a-Row tote, an America’s Grow-a-Row hat, an America’s Grow-a-Row canvas tote with member logo, and 3 moo cards to give to friends. Become a member. 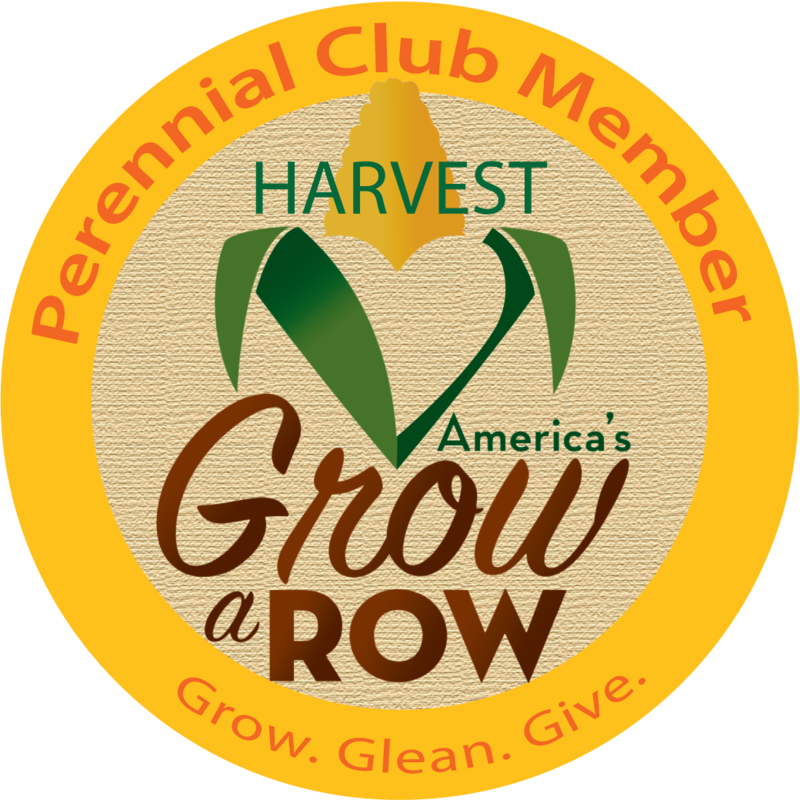 Harvest Member benefits includes a special America’s Grow-a-Row member magnet for your car, an America’s Grow-a-Row member t-shirt, an America’s Grow-a-Row tote, and 3 moo cards to give to friends. Become a member. 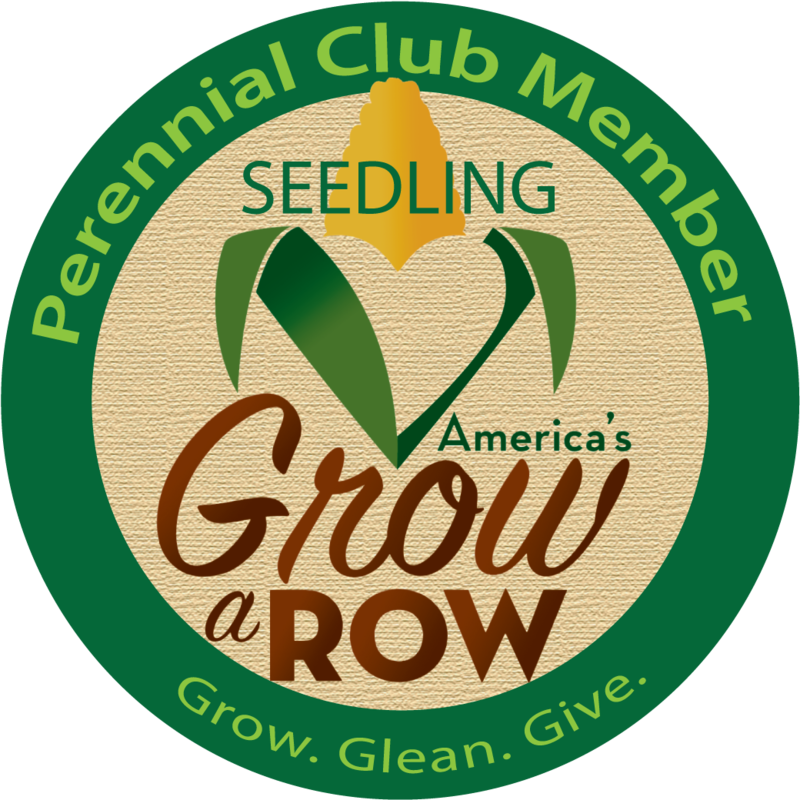 Seedling Member benefits include a special America’s Grow-a-Row member magnet for your car, an America’s Grow-a-Row member t-shirt, and 3 moo cards to give to friends. Become a member. 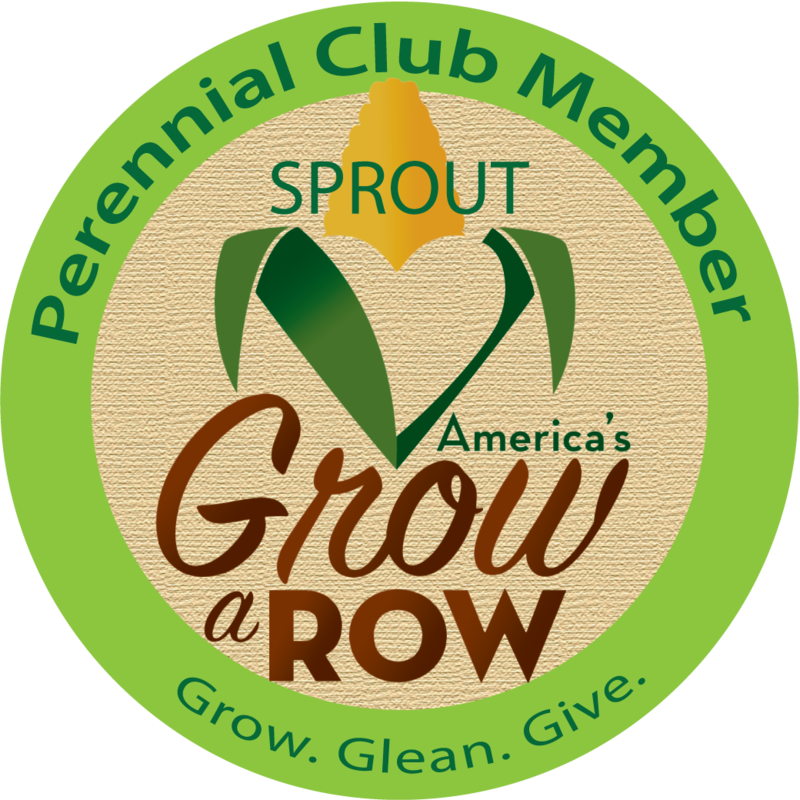 Sprout Member benefits include a special America’s Grow-a-Row member magnet for your car, an America’s Grow-a-Row tote, and 3 moo cards to give to friends. Become a member.